Lahore, October 8th 2015: Inov8 Limited, the region’s premier mobile commerce and payments provider, has partnered with Monami, a leading aggregator operating in North America and the region, to offer Internet Payments in Pakistan. This is the first time that such a large portfolio of internet payments, including leading names such as Google Play Store, Apple App Store and iTunes, Skype, PlayStation, Steam, Xbox Live, and World of Warcraft payments amongst more than 50 others, are being made available locally to Pakistani customers under the name “Cardwalla.” Inov8’s AllPay platform is being used to make these payments available to Pakistani customers through all banking channels in Pakistan including Mobile Banking, Branchless Banking, Internet Banking, ATM’s, POS, as well as Bank and Retail counters against cash. “Inov8 has been working to grow the mobile payments industry in Pakistan since 2004. Today we have one of the largest offerings of products and services as well as one of the biggest client portfolios in the region. Launching the Cardwalla service for internet payments through our AllPay platform is in line with our vision to change the way payments are made today to bring ultimate convenience to the end consumer. AllPay is an open aggregation platform available to all Banks and Retailers designed to allow consumers to make payments conveniently. Estimates suggest a $60 million dollar Ecommerce market size in Pakistan with most internet payments being made informally. This number is expected to grow to $500 million by 2017, and with the Cardwalla service, we are providing a convenient means to pay through formal channels.” Bashir Sheikh, President and Co-Founder, Inov8 Limited. Inov8 Limited, setup in 2004, is Pakistan’s first and the region’s leading mobile financial services (MFS) solution provider, and has grown to become the leading partner to banks and telcos, both locally and internationally. Inov8 offers a host of next generation products designed to address all facets of the mobile based financial services and mCommerce value chains. Inov8 is ready to integrate all banks and retail organizations interested in offering Cardwalla services and can be contacted at allpay@inov8.com.pk. Monami is a financial tech company that operates a Global Payment Hub and focuses on emerging markets. By introducing unique technologies and products present in the developed economies, Monami aims to bridge the gap between western & eastern consumers. Apart from Cardwalla, Monami is launching a redemption channel for international digital wallets. Headquartered in Dubai, Monami is a global company that is growing every month and entering new markets every quarter. We are actively seeking sales relationships for the MENAPAK region – please contact partner@monami.net if you would like to be a Monami sales channel. LAHORE: Monami has announced to channelise e-commerce remittances and payments to Pakistan without any fee from consumers in a bid to document international transactions of overseas Pakistanis, especially in Gulf Cooperation Council (GCC). For this, Monami has partnered with Inov8, a Pakistani premier mobile commerce and payments provider to offer internet payment with its brand name ‘Cardwalla’. Partnering with Inov8 provides Monami an opportunity to use the wide user base and e-commerce linkages already developed by it. 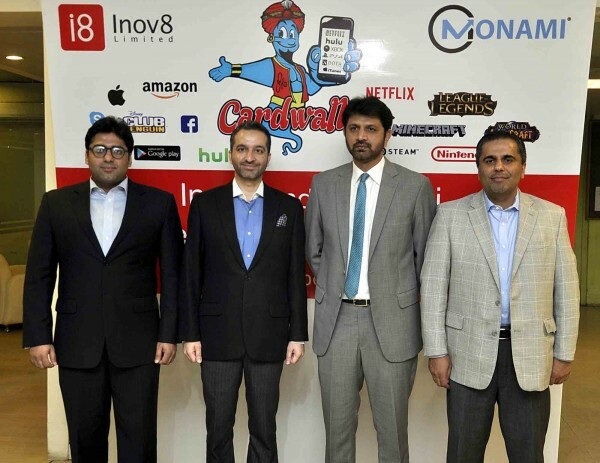 LAHORE: Inov8 Limited, Pakistan’s premier mobile commerce and payments provider, has partnered with Monami, a leading aggregator operating in North America and the region, to offer internet payments in Pakistan.